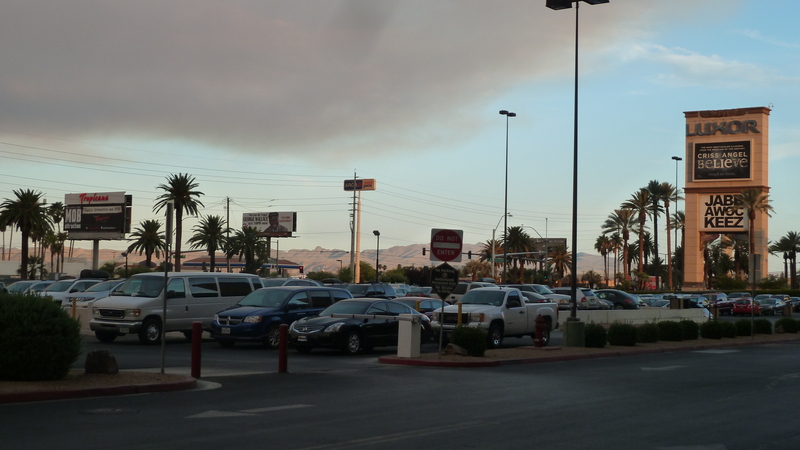 Finding harmony in Las Vegas: What would John Calvin or Menno Simons say*? 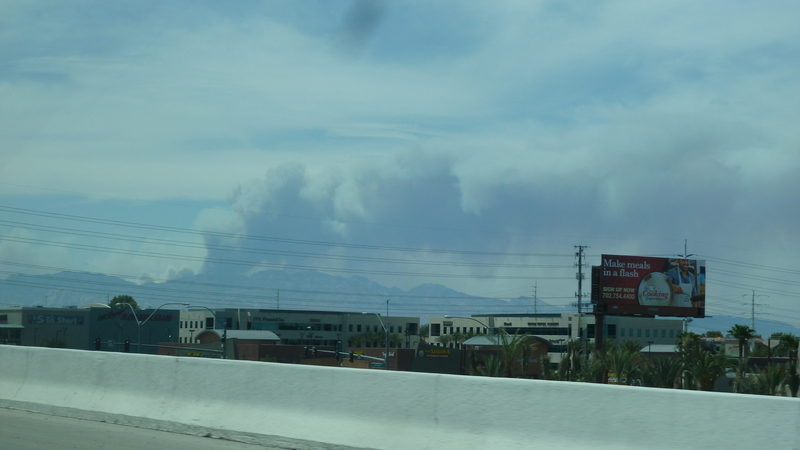 as we approached it from across the desert. I should have taken it as an omen. Flashbacks to evangelist descriptions of Sodom or Nineveh burning flitted through my mind. 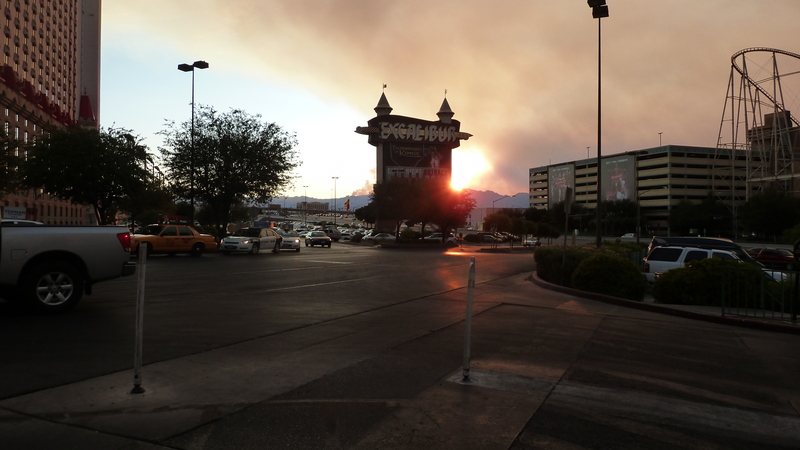 What was I, a good Mennonite-Presbyterian doing in sin city? Popeye’s chicken? Isn’t that about the bottom feeder of the fast food industry? 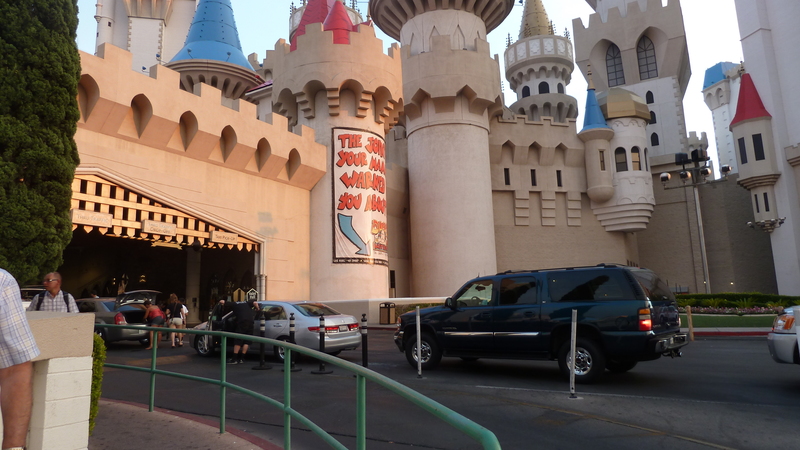 We were staying in Excalibur, one of the famous whimsical but cheesy hotels along the famous Vegas strip, so it wasn’t like we were in a low rent suburban motel with no better options nearby. My husband may want this secret to stay in Vegas. I must have looked a little crestfallen when I was sitting at the table in our room waiting for his brother to join us. Stuart looked at me earnestly and asked “Is everything all right?” like a worried groom on his honeymoon. I thought I wanted to go to Las Vegas to know what it was all about. I thought I wanted to watch people around a gaming table, maybe play a few slot machines, flirt with my husband, enjoy an evening out. It didn’t start out well. We found our hotel ok but that was just the beginning of navigating an immense hotel complex and casino where even once you walked into the lobby, you couldn’t find the registration desk. Our party of three decided to split up (often a dumb idea, especially when one doesn’t have a cell phone), with my brother-in-law and I scouting out where to check in while my husband was to find a parking place. Well, truly it was overwhelming and when we finally found the registration desk, there was a line of about 50 people waiting to check in, the middle of the afternoon. On a Tuesday. But the room was the cheapest of our trip and my spirits were somewhat buoyed by the book of coupons we received upon check in. 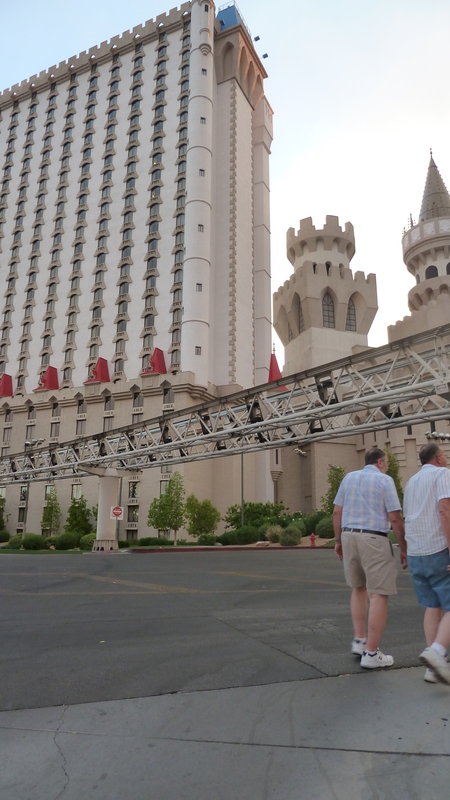 I had always heard about the great buffet deals you could score in the hotels because everyone said the casinos hoped to make serious money off of the gaming tables. But the coupon book had print so tiny we couldn’t read it without great effort—and we were by far not the oldest customers there! There was a lot of switcheroo going on—we went to one restaurant venue in our hotel only to find it wasn’t the venue honoring that coupon and some of the deals were $20 off IF you spent $100 on your meal for two. Not even I was willing to put down that kind of cash for a meal in Vegas. There was a food court for the bottom feeders so the guys, also disappointed but wanting to make the best of it, decided they had “always wanted to try Popeyes” and we thought we’d eat in the food court but when our standard drink of water was only available in bottles for $3.50 each, the guys thought it best to just carry our food back to our room where we already had bottled water in our ice chest. Since it was a food court I should have picked up Chinese or something a little more exotic, but then the bucket of chicken would have not been as much of a deal. Call us cheap or frugal or living more with less. 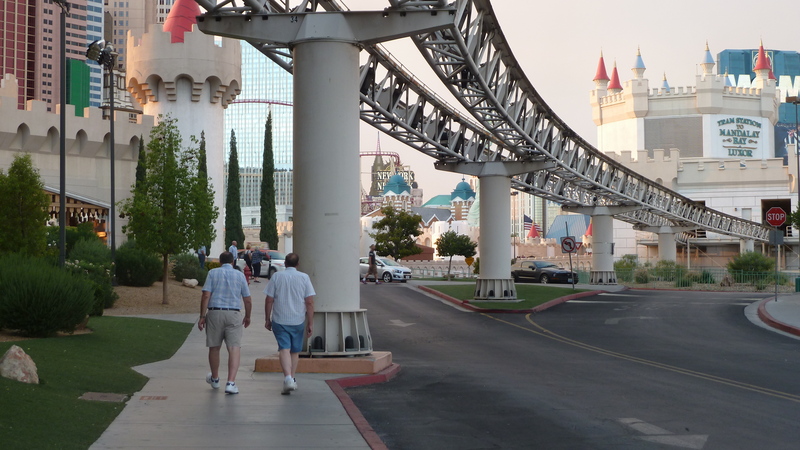 So it won’t surprise you that our evening’s entertainment consisted of riding the Monorail two times along the strip because once you paid your fare, you could stay on it and ride all night if you felt like it. I got over it. The chicken wasn’t bad and yes we finally did enjoy a lovely dinner out at a Black Angus steak house two nights later in Bakersfield, Calif. with superb prime rib, tasty salad and sides, and a to-die-for free dessert special. We decided we were truly nature lovers at heart: give us the mountains, the desert, the beach, the river, the forests, the hills, the meadows. I can enjoy cities a lot but Vegas was a little too much, too overwhelming to try and cope with in one night with little orientation. The whole trip was a huge splurge for country kids so I just appreciated my husband indulging my travel addiction and in the end, I didn’t really want to fritter away our hard earned cash in a slot machine either. We’ve been working at finding harmony for over 37 years now. 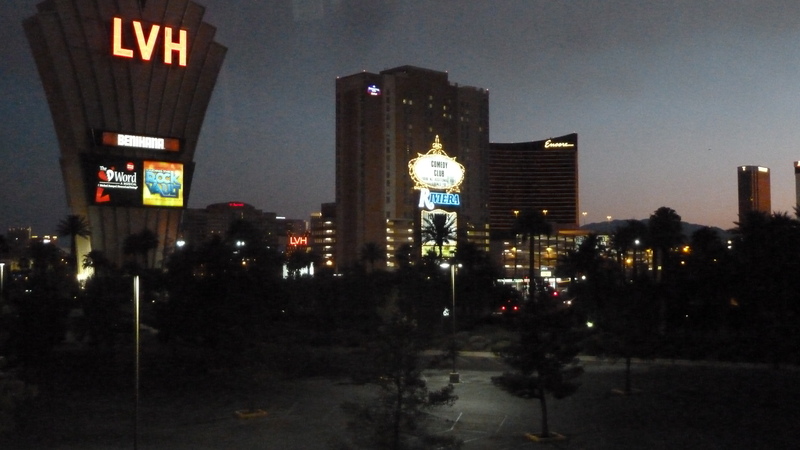 Maybe the only sin I committed in sin city was envy. *John Calvin is known as founder of the Presbyterian or Reformed churches. Menno Simons was an early Anabaptist leader whose followers gradually became known as Mennonites. I’ve been a card carrying Presbyterian for 33 years. I’ve been an “ethnic” Mennonite since birth.